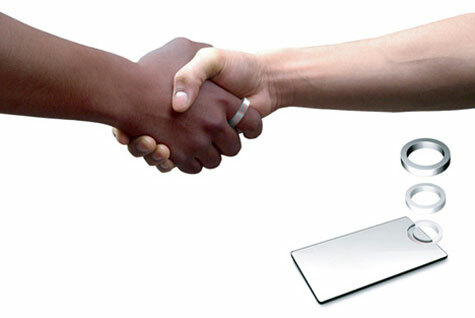 Would it be great if you could share preferred personal data with another by simply shaking hands? Want a new way to exchange business cards without needing to actually carry them around? This product is designed to exchange basic information with new people in the first meeting by shaking hands.An intelligent design aims to let you share desired information with another with a simple handshake.